A church doesn’t need to be big to make good decisions. It's a matter of quality, not quantity. For years, we've been told that the reason so many churches stay small is because they’re making small church choices. I understand why people say that. Many decisions made in small churches have inhibited their health and growth. But it’s not entirely true. Not all small church choices are wrong. My church isn’t small because I make small church choices. I make small church choices because my church is small. When I opt out of big church choices, it's not because I don't want my church to grow (I do), but because big church choices don't always fit in a small church context. So I'm going to keep making small church choices. But not just any small church choices. I'm going to make good ones. There’s a big difference between making good small church choices and bad small church choices. GOOD small church choices keep a church healthy, strong and vibrant. BAD small church choices choke out any possibility for health, growth and new life. GOOD small church choices fit the size of the church, creating health and making room for growth. BAD small church choices don’t fit the size of the church, so they stifle health and growth. 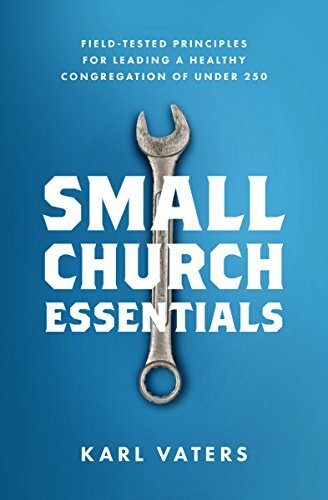 GOOD small church choices acknowledge and leverage the advantages of being small. BAD small church choices refuse to see any advantages in being small, so they miss out on them. GOOD small church choices honor the past, live in the present and prepare for the future. BAD small church choices dwell on the past, deny the present and have no future. Big churches don’t deserve A-grade choices just because they’re big, and small churches don’t deserve B-grade choices just because they’re small. But every time we hear or act on the assumption that all small church choices are wrong, we reinforce that fallacy. A church doesn’t need to be big to make good decisions. Good decisions vs bad decisions is a matter of quality, not quantity. As small church pastors, we need to make better choices. Not just bigger choices. In some circumstances, better choices may bring numerical growth. In many circumstances, they won’t. Either way, we should always be giving God, ourselves and our church everything we’ve got. Great small church choices build great small churches. Copyright © 2015 by the author or Christianity Today/Leadership Journal. Click here to read our guidelines concerning reprint permissions.